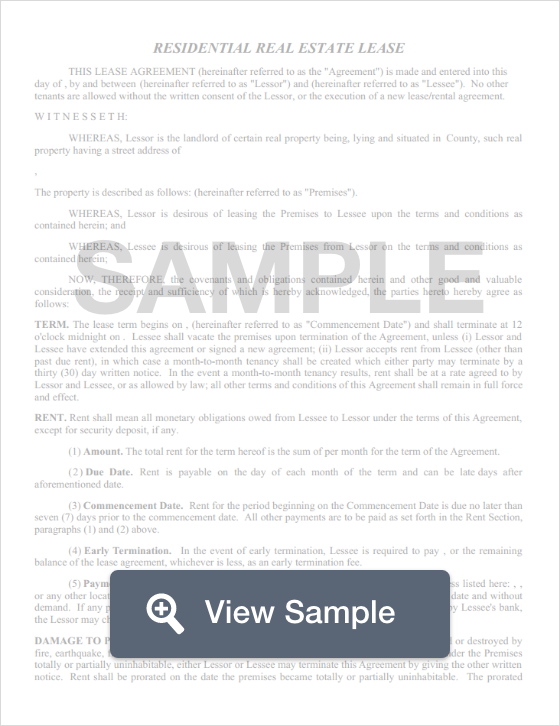 Create a New Jersey Lease Agreement with our attorney-drafted template! A New Jersey lease agreement is a written agreement between a landlord who owns property and a tenant who wants to lease it. 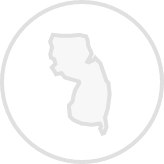 All New Jersey lease agreements must comply with the landlord-tenant statutes of the state. The most commonly used New Jersey lease agreements are standard annual lease agreements, a month-to-month lease agreement, a lease to own agreement, a roommate agreement, a sublease agreement, and a commercial agreement. Condition of the premises upon move-in. Whether hazardous materials are on the property. Finally, a standard New Jersey lease agreement must be signed by both the landlord and the tenant. Both should keep a copy of the lease after it is signed. What Disclosures Must Be Made in a New Jersey Lease Agreement? If the property is located in a flood zone. A Truth in Renting disclosure unless the tenant will live in a dwelling of two or less units or three or less units if the tenant will occupy a unit within 30 days of signing the lease. A bold font window guard statement: The owner (landlord) is required by law to provide, install and maintain window guards in the apartment if a child or children 10 years of age or younger is, or will be, living in the apartment or is, or will be, regularly present there for a substantial period of time if the tenant gives the owner (landlord) a written request that the window guards be installed. The owner (landlord) is also required, upon the written request of the tenant, to provide, install and maintain window guards in the hallways to which persons in the tenant’s unit have access without having to go out of the building. If the building is a condominium, cooperative or mutual housing building, the owner (landlord) of the apartment is responsible for installing and maintaining window guards in the apartment and the association is responsible for installing and maintaining window guards in hallway windows. Window guards are only required to be provided in first floor windows where the window sill is more than six feet above grade or there are other hazardous conditions that make installation of window guards necessary to protect the safety of children. Under federal law, if the residential unit is built before 1978, the landlord is required to give a lead paint disclosure. The landlord must provide at least one day of notice to the tenant before entering the leased property. The maximum amount of a security deposit that the landlord can request is one and a half month’s rent. If the tenant stays on the property for more than a year, the landlord may not request more than an additional 10% of the monthly amount. The landlord must return the security deposit to the tenant within 30 days of the end of the lease. 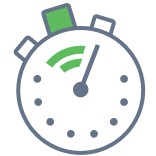 Create a free New Jersey Lease Agreement in minutes with our professional document builder.